Machine-stitched TPU for soft touch and durability. Butyl bladder for optimum air retention. Our adidas Real Madrid Fan Soccer Ball 2018 is a great ball for the fans to show support for their team and for super stars like Modric, Isco and Marcelo. 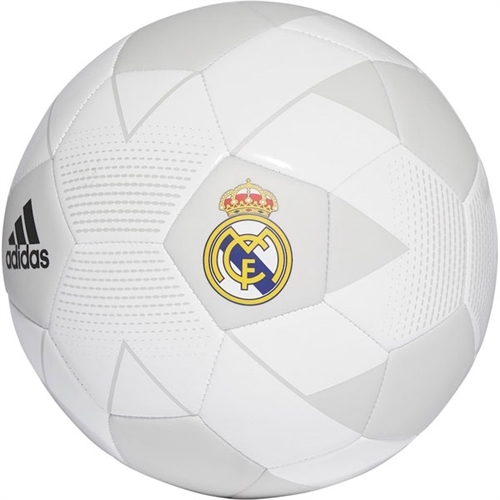 Represent with this ball as Madrid fights to win La Liga.